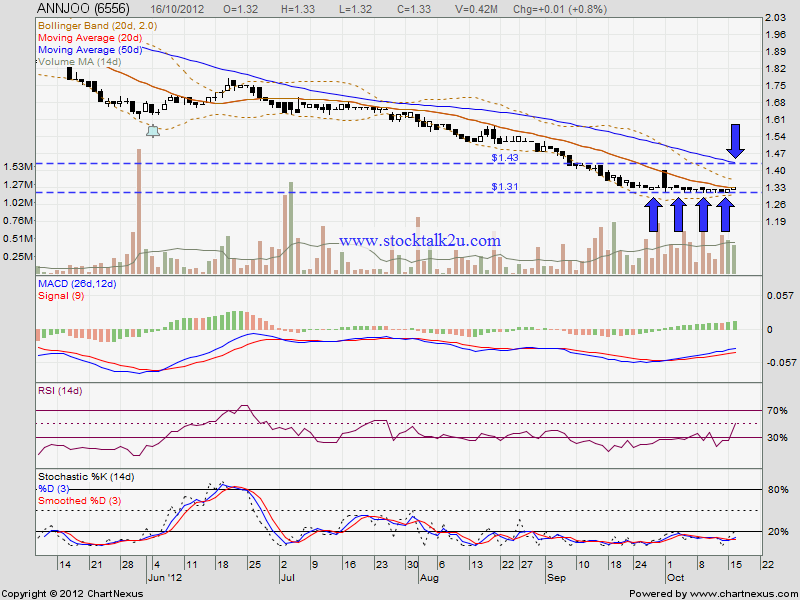 ANNJOO keep consolidate & trading sideway since End of Sept, 2012. Will it break through MA20 resistance level? 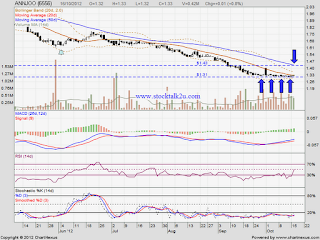 It has been oversold & take a quite long duration for consolidate. High probably it will technical rebound. Once break through MA20, MA50 would be next resistance level, which is around RM1.43 level. Immediate support @ RM1.31 level.